Since completing his studies at the Royal Northern College of Music, Manchester, Mark has specialised in performing on period instruments in music from the baroque to the avante-garde. 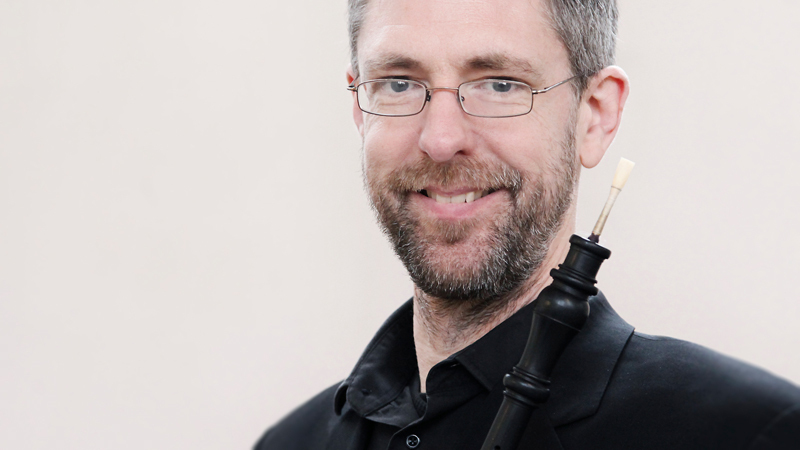 As a soloist, chamber musician and orchestral oboist, he has toured extensively throughout Europe, America and the Far East, recording and performing for festivals, music societies and radio with ensembles including the Sixteen, Scholars Baroque, English Baroque Soloists, Academy of Ancient Music, Gabrieli Consort, and his two chamber groups, the Denner Ensemble and Pipers 3 oboe trio. At the Berio Festival in Manchester in 1992, Berio claimed his performance of his solo oboe 'sequenza' to be the best he had heard. In 2000 Mark was involved in the epic year long ‘Bach Pilgrimage’ lead by Sir John Eliot Gardiner performing Bach’s sacred cantatas throughout Europe. In 2004 he performed in the sound track and acted in the ground-breaking BBC television drama ‘Eroica’, portraying a day in the life of Beethoven. This year Mark has formed an experimental acoustic/electric improvisation group called ‘Far Black Furlong’ which is in the process of recording its 4th album. He also has a number of concerto performances to give on baroque oboe and will be premiering four new works written for him in France and England. 2007 CD with Arias by J.S. Bach and G.F. Händel for Altus and orchestra together with turned up concertos and double concertos for flute oboe and violin by Quantz, Fasch, Telemann. Soloists: Maarten Engeltjes Altus, Hajo Wienroth Traverso, Mark Baigent Oboe and Simon Standage Violin. 2008 CD „Bleibt ihr Engel, bleibt bei mir...” Cantatas and arias by J.S. Bach. Markus Brutscher tenor, Hajo Wienroth traversflute, Mark Baigent oboe.